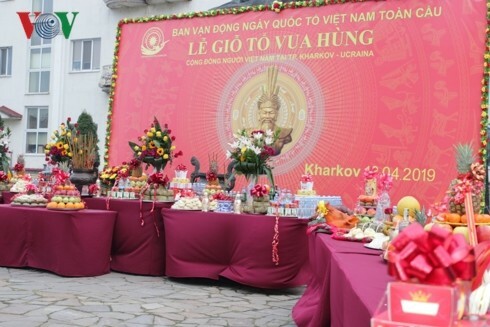 (VOVWORLD) - Overseas Vietnamese in Ukraine’s Kharkov province on Saturday held a ceremony to mark the death anniversary of Hung Kings, the legendary founders of Vietnam, which falls on the 10th day of the third lunar month every year. 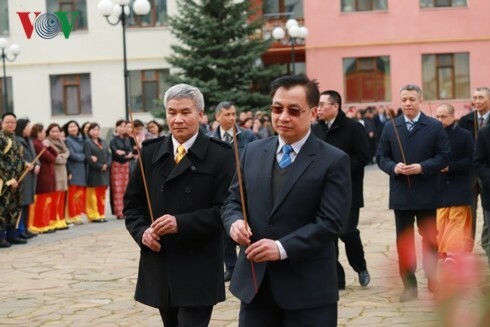 Speaking at the ceremony, Vietnamese Ambassador to Ukraine and Moldova Nguyen Anh Tuan said the event demonstrates the Vietnamese people’s fine tradition of “drinking water, remembering the source” and promotes patriotism among the young generation. He reiterated the Vietnamese Embassy's supports for the overseas Vietnamese community in Ukraine, wishing that they will continue to unite and help each other while preserving Vietnam’s cultural identity. Participants offer incense to pay tribute to Hung Kings, the legendary founders of Vietnam, in Kharkov, Ukraine, on April 13, 2019. On Sunday, a get-together was held in Bern, Switzerland, where the local overseas Vietnamese marked the death anniversary of Hung Kings. In her address, Vietnam’s Ambassador to Switzerland Le Linh Lan said the meeting was a great chance for overseas Vietnamese living and studying in Switzerland to strengthen their bonds while promoting their national patriotism. 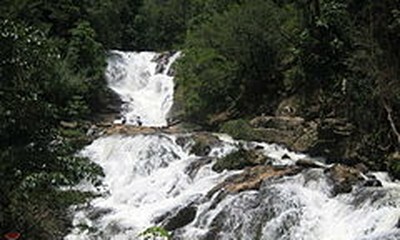 She called on the local Vietnamese to further contribute to boosting Vietnam’s development as well as its cooperation with Switzerland.